In the judgment of 18th of April 2018 of the logging case (C – 441/17) the Court of Justice („the Court”) ruled (unsurprisingly) that by carrying on logging activities on the NATURA 2000 site, the UNESCO-protected Białowieża Forest, Poland has failed to fulfil its obligations under EU law. For any student of EU law the case might look like a simple one that on the day of its resolution would join hundreds of infringement cases heard and decided by the Court every year. However, this prima facie simple case belongs to the annals of the European jurisprudence for three reasons other than the judgment itself. First, for its unprecedented circumstances and procedural twists and turns that preceded the ruling on the merits. Second, the courts can only do so much without the active support of the political institutions and this case teaches us a painful lesson about the limits of the courtroom when such support is lacking. Third, it shows that the Treaties do contain legal tools to respond to the recalcitrant member states riding roughshod over the core values and principles of the EU legal order. For that to happen however, political will to stand up for the EU essentials must go hand in hand with the imaginative judicial interpretation(s). When the former is missing, the latter loses all its deterrent effect. In C – 441/17R the Commission asked the Court, pending the judgment in the main proceedings, to order Poland to cease, except where there is a threat to public safety, the active forest management operations, including, inter alia, the removal of centuries-old dead spruces and the felling of trees as part of increased logging in the Białowieża Forest. By order of 27th July 2017, the Vice-President of the Court provisionally granted that request pending the adoption of an order terminating the proceedings for interim measures. Despite the provisional order, the logging not only continued but intensified. In an act of defiance unprecedented in the history of European integration, Poland openly rejected the order and refused to stop logging. As a result huge chunks of the forest are gone forever (for full scale of devastation see the report here that shows the scope of logging activities after the Court has issued its first order). The paranoid politics of resentment reached its peak when Poland asked for the removal of Białowieza from the UNESCO World Heritage list! How would the court respond to this? The answer was unequivocal and strong: with its own logic and language of the “new legal order” – the rule of law, effet utile and credibility of commitments voluntarily accepted at the Accession. The part „once the matter is before the Court” is both a powerful reminder of the logic of the courtroom, and serves as a message sent to the politics of resentment. The command to ensure the observance of the „law” empowers the Court to interpret a specific jurisdictional attribution (in this case Article 279 TFEU) accordingly. Respect for the „law” means that the Court must be able to ensure the effectiveness of an order directed at a party pursuant to Article 279 TFEU, by adopting any measure intended to ensure that the interim order is complied with by that party. Such a measure may entail, among others, a periodic penalty payment to be imposed in case the relevant party does not respect that order. Then, in the two most consequential paragraphs 101-102, the Court finally met the politics of resentment head-on. The Polish government argued that only Article 260 TFEU empowers the Court to impose sanctions on the Member States. Poland’s interpretation of this provision was that it is first for the Commission to bring an action for failure to fulfil obligations pursuant to Article 258 TFEU and it is only if the Court upholds that action and Poland fails to comply with the Court’s decision that the Commission will then be entitled to bring an action pursuant to Article 260 TFEU. Clearly, the Court was less than impressed. In response to this line of argument, it stressed first that a periodic penalty payment cannot, in the circumstances of the present case, be seen as a punishment. Second, the Republic of Poland’s interpretation of the system of legal remedies under EU law in general, and of proceedings for interim measures in particular, would have the effect of considerably reducing the likelihood of those proceedings achieving their objectives. Allowing Poland’s argument to stand would be tantamount to sanctioning impunity and letting the rogue government dictate the rules of the game. It is for the court, and not for political instrumentalisation and expediency, to dictate the rules of the game. In the light of the circumstances of the case, the Court found it necessary to bolster the effectiveness of the interim measures granted by providing for penalty payments to be imposed if Poland fails to comply immediately and fully with the interim measures. The objective of the penalty is to discourage Poland from delaying its compliance with the Court’s order. To that end, the Court ordered Poland to send to the Commission, within 15 days of notification of the order, details of all measures that it has adopted in order to comply fully, and to justify those active forest management operations at issue that it intends to continue because they are necessary to ensure public safety. If the Commission is of the view that Poland has failed to comply fully with the order, it will be able to request that proceedings be resumed. The Court would then decide, by way of a new order, whether the initial order has been infringed. Should such infringement be found, the Court will order Poland to pay to the Commission a penalty payment of at least € 100,000 per day, from the date of notification of the initial order to Poland until Poland complies with the Court’s order or until final judgment in the case is delivered. Now on to the Act Two. Kim Lane Scheppele has already shown how the approach of the Commission must change in response to the Member States’ blatant undermining of the foundations of the EU law. Her bold proposition of systemic infringement actions against the member states that violate core values of the EU is based on two assumptions. First, that the Court will be able to recalibrate its mandate and reinterpret its jurisdiction. Second, that the Commission will be up to the challenge of interpreting its role in the infringement actions as both the supplicant, and enforcer. Shift towards systemic infringement actions calls for strategic reading of the Treaties. „Strategic" means that a political actor puts a premium not only on words, but also on actual actions. This confirms M. Shapiro’s argument that „in the realm of judicial behaviour, what judges say, what rules they announce and/or threaten to announce is often a more significant aspect of their behaviour than how they vote” (Can Judges Deliberate?, Third Annual Walter W. Murphy Lecture in American Constitutionalism, Princeton University, 29 April 2003, p. 3 – paper on file with the Author). The Court as a political player and actor must absorb the legal change around it and accommodate its case law accordingly. The „logging case” is one such example of judicial accommodation. The error of „normative asymmetry” (authority to ensure that Member States remain liberal democracies has not been translated into law yet) becomes less acute when the Treaties are read in a strategic fashion. Systemic violations call for systemic responses. The guardians of the legal order must not let the Treaty („text”) be abused by a rogue government. Enforcement must build the „context”. Art. 19 TEU clearly mandates the Court to ensure that in the interpretation and application of the Treaty the law is observed. My claim is that unfulfilled potential lies in the constructive interpretation of the text in the light of the foundational 1963 judgment of the Court in Van Gend en Loos. What matters is the „the spirit and the general scheme of the Treaty", rather than formalist reading of one legal provision in isolation. The Białowieża case shows that there are legal avenues to pursue before wringing our hands in despair and accepting that nothing can be done. The text is there and there exist institutions to interpret and enforce it. What is needed (and missing) is the political will to make the core principles of the EU law fully operative and respected. Legal order of the EU depends on the Member States’ continuing compliance with the EU laws. Deliberate refusal of a member state to implement EU law is a failure in their duty of solidarity that strikes at the fundamental basis of the Community legal order”. The same must go for a refusal to follow the decision of the Court. "In permitting Member States to profit from the advantages of the Community, the Treaty imposes on them also the obligation to respect its rules.For a State unilaterally to break, according to its own conception of national interest, the equilibrium between advantages and obligations flowing from its adherence to the Community brings into question the equality of Member States before Community law and creates discriminations at the expense of their nationals, and above all of the nationals of the State itself which places itself outside the Community rules.” (para 24). „This failure in the duty of solidarity accepted by Member States by the fact of their adherence to the Community strikes at the fundamental basis of the Community legal order.” (at para 25). When read in this light, the Białowieża Forest case starts a new „existential jurisprudence” and tailors it to the present dangers coming in the wake of the rule of law crisis. Clearly the court-room must not be seen as a problem solver in all circumstances, yet it might offer one powerful mechanism against „exit”. The Court has been always recognized as a powerful political player that is capable of casting its judicial shadow on all the actors in the EU governance. One of the great strengths of a judicial power wielded by a court like the Court of Justice is incrementalism. It both shields the actor, and expands its authority. The Court – political player proceeds incrementally and must be aware of both the opportunities and limitations along the way. The qualification „incremental” is crucial here because “[…] the core of incremental doctrine is respect for the status quo and movement from the status quo only in short, marginal steps carefully designed to allow for further modifications in the light of further developments […] Incrementalism is a theory of freedom and limitation” (M. Shapiro, Stability and Change in Judicial Decision-Making: Incrementalism or stare decisis, (1965) Law in Transition Quarterly Vol. II No. 3 pp. 156-157). However, the judicialization of the EU governance must be understood as a joint enterprise. The Court never functions in a legal vacuum. This is where Act Four starts. The study of impact of any supreme court must go beyond the analysis of „what a court has said”. Therefore, I wish to follow Martin Shapiro’s typology of what he calls varieties of impact studies (The Supreme Court speaks … and what happens? The Impact of the Supreme Court, (1971) 23 Journal of Legal Education 77). According to him, an analysis shall, inter alia, focus on „the whole institutional role of the supreme court and its whole pattern of commands and statements”. The times of constitutional crisis call for more robust approach to institutions, and their respective spheres of competence and expertise. In the spirit of comparative approach to institutions we must look more attentively at the relative strengths and weaknesses of each institution, and then decide who does what best. The courts of law are in the business of enforcing the rule of law and this this is what they do, and this is what they do best. Of course it does not mean that they are the only players in the rule of law domain. There are other institutions who have their own distinct mandate and competences. Sometimes for an action by one player to be fully effective, a follow-up will be needed. In other situations, a judicial actor will be able to bring about a change through its actions only. The logging case belongs the former category. Agreeing with the centrality of the question “the court decides, but what happens next?”, the follow-up to the Court’s valiant attempt to defend the integrity of the EU legal order in the Białowieża case must be considered as the most disappointing. The Court threw the Commission a lifeline, and the Commission inexplicably stopped short of applying for the penalties, and never delivered on the constitutional promises of the Court’s order. The lack of the political will to enforce the text (Act Three) has been deafening. 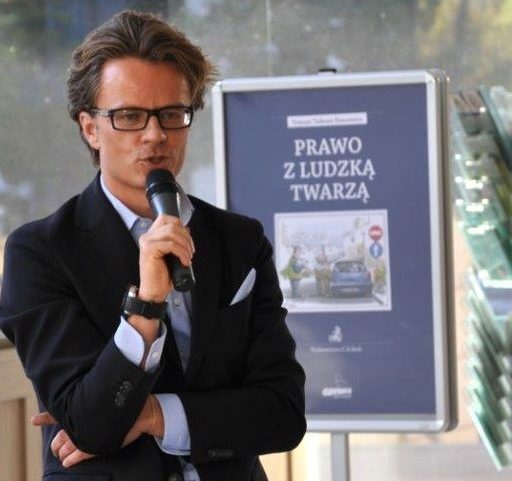 In the Białowieża case the process of judicialization of the EU governance called for a concerted action and dual commitments: from the Court and the Commission. The Court did its part, Commission failed and reverted to its bad ways from the past: negotiating with the government who has been giving short shrift to the Commission and to the core values of the EU law for two years and will continue doing that under the pretense of striving for a compromise with the EU. The Commission continues to be missing one crucial element: the politics of resentment are not just one-off aberration. It is a constitutional doctrine with the overarching constitutional themes, plots and characters. The repeated denouncement by the Polish ruling party of the Court’s jurisdiction did not come out of the blue. Rejection of supranational institutions is one of the core elements of the politics of resentment. The Białowieża case shows how this anti-institutional animus is now being extended from the domestic sphere (capture of the Constitutional Court and the judiciary) to the European. The capture enters a new phase: welcome to the tragedy’s Act Five. The „exit in values” that has already happened in Poland has now been complemented by “the exit in legality” at the supranational level. No longer is the government seeking to remove itself from the liberal values and norms. It is now also seeking to separate itself legally from the institutions that supervise the respect for these values and norms. At the domestic level, the legality oversight has been removed when the Constitutional Court was destroyed. Now, the time has come to break free from the supranational machinery of control and enforcement. Following the trajectory from the “exit in values” to the “exit in legality” reveals an inescapable logic. All institutions, domestic and supranational, are seen to be standing in the way, and their rejection is part of the comprehensive constitutional doctrine – the politics of resentment. Failure to stop the politics of resentment now only emboldens the doctrine and the people behind it. We have already seen how the passivity and indecisiveness of the Commission in 2015 – 2017 has empowered the Polish politics of resentment. What started as a capture of the constitutional review was soon transformed into an assault on all independent institutions in the country. While the Commission was watching, the capture only gained strength coming from the conviction that Europe will do nothing to stop it. Soon after the Constitutional Court, the politics of resentment claimed new victims – media, Supreme Court, ordinary courts, National Council of the Judiciary. The list goes on … Add now to it the Court of Justice. The preceding analysis came from the lawyer. Now, for a moment, a citizen in me must speak out. There is one aspect of all this that we must never forget about. There used to be the last European primeval forest in Poland. And then the politics of resentment descended. The pictures of deforestation show what has happened to large chunks of the Białowieża Forest. It must remain the lasting image of the failure of the European governance. While talking to the Polish government (or any Member State for that matter) is always a positive thing in the community of equal states, there has been too much empty dialoguing, extending deadlines and hoping that the change of heart will come after all in the „Polish case”. If anything, Europe has excelled in talking the talk rather than walking the walk. One can suspect (and suspicion is all we are left with as the Commission never addressed the burning question why it stopped short of applying for penalties when faced with the continued logging) that the Commission’s silence has been predicated on the counter-factual assumption that a face-saving trade-off might be in the making along the lines of Commission’s easing down on the interim injunction on the one hand, and Poland backtracking on some of the „reforms” on the other. If this was indeed the reason for the Commission’s inaction in the case, then it would be yet another example of a rotten compromise that sacrifices the constitutional essentials for short-term (and hypothetical, to say the least) political gains. Yet, the significance of Białowieża Forest case goes beyond here and now. The price to be paid for the institutional impotence and naivety will be much higher than in the case of captured institutions. While the latter might be rebuilt, the unique forest will be soon gone forever. A very high price indeed for institutional opportunism and short-sighted politics of the now discredited „guardian of the Treaties”. SUGGESTED CITATION Koncewicz, Tomasz Tadeusz: The Białowieża case. A Tragedy in Six Acts, VerfBlog, 2018/5/17, https://verfassungsblog.de/the-bialowieza-case-a-tragedy-in-six-acts/, DOI: https://dx.doi.org/10.17176/20180518-112614.